One hundred years ago, 9 February 1917, the annual meeting of the Joint Committee of Management of the South Charitable Infirmary and County Hospital was held in the Boardroom of the institution. The Bishop of Cloyne Dr. Browne, chairman, presided with the report being published in the Cork Examiner. The report given on the hospital was extensive and gives another insight into everyday life in Cork a century ago and on the nature of the pressures on the health service for the ordinary citizen. The South Infirmary was opened in 1762 and was established by Act of Parliament. 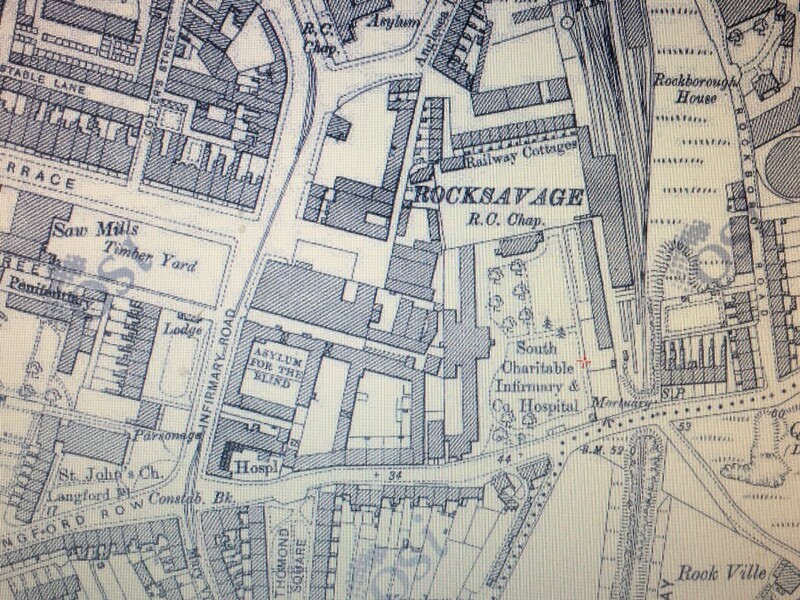 By 1917, the Victoria Hospital was in existence next door. Formerly known as the Women and Children’s Hospital, the latter institution was first located on Union Quay and then on Pope’s Quay. 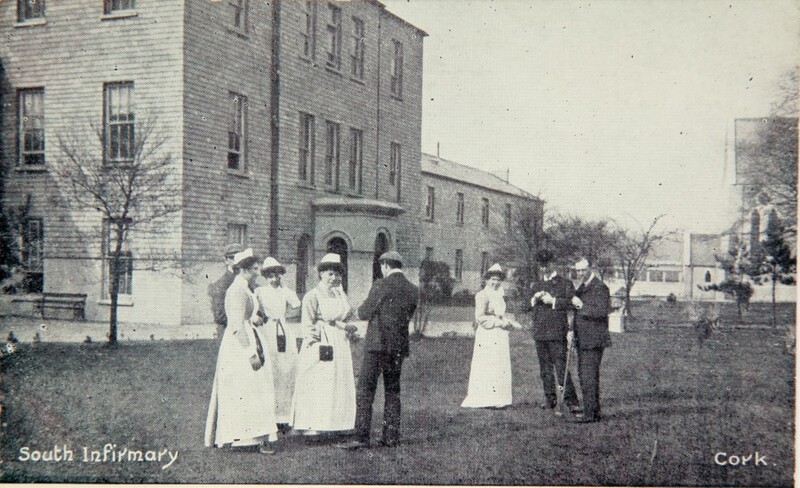 The move to be a neighbour of the South Infirmary occurred in 1885 and shortly afterwards an efficient training system for nurses was established. The name change to Victoria Hospital occurred in 1901. The 1917 report highlighted what the South Infirmary deemed as “large numbers” applying for admission into the wards and attending at the extern departments. By arrangement with the military authorities over the previous two years the committee of the South Infirmary placed the entire male surgical ward at the disposal of the military authorities. The large number of 152 wounded and sick soldiers passed through the wards. The medical and surgical report highlighted 484 medical cases passed through the wards. of whom 447 were discharged, cured or relieved and 37 died. The chief causes of death were acute lung and kidney diseases. The other deaths were largely due to the chronic affections found in a general hospital, and many of these were deemed “hopeless on admission”. In the surgical ward 598 cases were treated, and of these 561 were discharged or cured, whilst 34 died. Several deaths were due to cancerous cases on admission. The daily average number of beds occupied were 90.7%. The treatment of many cases, very many of a serious nature, and some requiring immediate operation, demanded much time and attention. There were 404 major operations performed during the year. A total of 3,109 new cases passed through the extern department, with a total attendance of 11,531. Regarding staffing, the house surgeon Dr D P Lucy resigned in March 1916 having joined the Royal Army Military Corp (RAMC). Dr W P Lehane and Dr J C Saunders, former students of the hospital, were appointed house surgeon and house physician respectively. Dr G F Hegarty, after a year’s service with the RAMC, resumed charge of the X-ray department, which, during his absence was attended to by Mr H Lund. The concept of using X-rays in general hospitals was only about 15-20 years old. The hospital report regretted that owing to the high cost of building, they were not yet able to enlarge this department and complete its equipment. A special donation was received for it in 1913. The Lord Mayor, Thomas Butterfield, who was a dental surgeon by profession, found that the many calls on his time made it difficult to attend regularly at the South Infirmary’s dental department. He asked that a dentist be appointed to act with him during his term of office. Two were appointed. The onerous duties of the Matron were discharged by Sister M Albens Fogarty; her assistant was Sister M Cecilia. Miss A Henderson, who had been a member of the nursing staff for 7 ½ years, resigned in November 1916. She held the responsible position of staff nurse in the operation theatre. In a finance sense, the hospital report highlighted that 1916 was an “extremely difficult and anxious year for the Joint Committee, and still more so for the House Committee”. The cost of everything connected with hospital maintenance continued to increase. There was often over 170 persons to be provided for in the Infirmary each day. The Matron lessened the distribution of food and coal but called for a warning to be given in the report; “it must be remembered that in the care of the sick there should not be any reduction in the amount of food or comfort required for their treatment. Apart altogether from the natural desire to do everything possible for the sick, it is false economy to reduce nourishment below what is necessary, as it means a longer stay in the hospital, and, consequently, more expense, besides, in many cases, depriving families of their breadwinners”. Regarding funding and bequests, the hospital’s Joint Committee received during the previous year a bequest of £1,000 left by Dr A C Godfrey, of Broom Hill, Dripsey, for the endowment of “the Godfrey Bed’. A tablet was placed over a bed in the male surgical ward recording the name of the donor. A further £900, was made from the trustees of the will of Mr Joseph Bennett, of Warren’s Place, Cork, which became available on the death of his son, Mr Thomas F Bennett. The collections for the Hospital Saturday Fund and Hospital Aid Society amassed £53 and £40, respectively, to be allocated to the South Infirmary. The Joint Committee acknowledged the donations and the collection work of the Countess of Bandon, the Lady Mayoress, and the ladies of the city and county.